Technology is the future and so are your kids. Any wise parent would know not to completely cut off their little ones from these advancements if they want to raise a child that can keep up with the times. This is where the best kid’s smartwatch can truly help. With these products, you and your little one can still take advantage of what the latest tech has to offer while ensuring their safety. As these watches are designed to meet the needs of young children, you can stay connected to your kids without any worry. Adult smartwatches can do nearly everything a smartphone can, but the ones for kids have limited functionality. This makes them safer and more suitable for a child’s needs without taking away their very own piece of advanced tech. 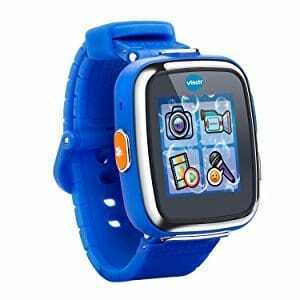 The VTech Kidizoom Smartwatch DX is a fantastic middle ground. If you think about it, this smartwatch is really just a fancy wristwatch for kids. Its main function is still to display time on your little one’s wrists, but what makes it special is that it has 50 clock faces to choose from. It also comes with other functionalities that kids will enjoy. They can take photos with its .3 megapixel camera and use photo effects with it. They can also record their voice, set an alarm, and use the watch as a timer or stopwatch. ​It also comes in handy for your child’s daily life. Equipped with a calendar and calculator, your little one will be able to complete tasks with this watch. They can also have a fun time with the 8 built-in games. What's Great About It: The Kidizoom DX is a very simple smartwatch that won’t overwhelm your child. We like that it’s still a watch more than a gadget. It offers just enough technology for young people, and is designed for kids aged four to seven years old. It’s so perfectly functional that your child can rely on it when they need to. 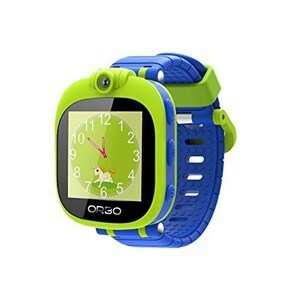 Another great pick for a kiddie smartwatch is the Orbo Kids Bluetooth Phone Pairing Smartwatch. Like the VTech Kidizoom, this watch takes kid’s wristwatches to the next level with a wide range of basic functions. It has a touchscreen display and a few different options for clock faces, for starters. It also has 3 built-in games, a step counter, a voice recorder, and an integrated alarm clock to make it a solid kid’s smartwatch. However, it offers much more than that. Equipped with a tilt-able camera, your child can play photographer and capture the world around them. The fun part is that the unit’s memory is expandable, so you can get a bigger sized SD card for them to store their snaps on. They can view their work right on their wristwatch. This smart watch has a clear display for previewing. You can also hook it up to the computer with a USB cable for an easier photo review. 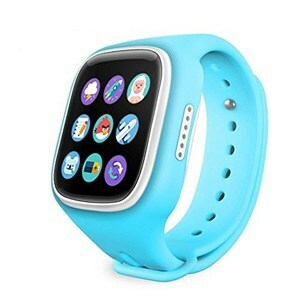 ​Its Bluetooth capacity will let your child connect their smartwatch to a phone to answer calls. While this will require your child to have a phone, it doesn’t mean that it has to be theirs. You can connect their watch to your phone and then they can receive calls to your phone from their friends. What's Great About It: The best part is that this smart watch is very affordable. There is no need to break the bank for your child to enjoy this gadget. Lots of parents consider getting their kids a phone so they can reach them when they’re out. However, that’s not always the best idea if you can’t monitor what they’re doing on their phones. Also, some kids are just too young to have their own mobile phones. A smartwatch with mobile capabilities, however, is an entirely different matter. The IREALIST Kid Smartwatch is an excellent watch as it does a good number of basic tasks. It works with a 2G Micro SIM card, so it basically functions like a phone. Your little one can receive calls and SMS as well as send them. It also has an SOS Emergency Calling feature so your child can easily contact you if needed. What makes it a big hit among parents is its tracking capacity. It’s equipped with a GPS, LBS, and Wi-Fi technology that promises accurate location indication. This guarantees that you can always know where your little one is. Just download the compatible app on your phone and you can always know where your little one is. With the app, you can also set up a security fence for your child. It will alert you in case your child leaves the set safe zone, ensuring that you can always follow their movements. What's Great About It: This smartwatch is one of the most well-rounded and multifunctional devices that works well with young kids. It also comes in different colors, so your child can take their pick. 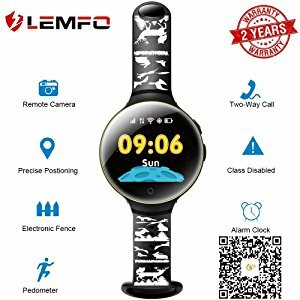 Folks who like to keep a close watch on their little ones will love how the LEMFO Kids Smart Watch can help them get the job done. This standalone kid’s smartwatch is packed with excellent features designed for parental monitoring. The best thing about this smartwatch is that it will always give you the exact location of your child. With six location modes, including camera positioning, GPS, AGPS, G Sensor, LBS, and Wi-Fi, you won’t have a hard time pinpointing where your kid is. You can also set up a security fence that will alert you when your child leaves the area where they’re supposed to be. This will let you take immediate action to ensure your child’s safety. It also takes child monitoring to the next level with its Parent Remote Monitor feature. This allows you to control the watch and take photos, reject calls, and get the device to call your mobile phone without your child needing to press anything. ​It even has a historical trajectory that will assist you in determining where your child can be. Based on their previous outings, the smartwatch will tell you the places they frequent. This can give you the data you need to predict their whereabouts if needed. What's Great About It: This product can help you keep track of your little one’s whereabouts, allowing you to rest assured that they’re always protected. Even when you’re away, this device might just be the easiest way for you to keep your child protected from different kinds of harm. As parents, we are particular about the gadgets we allow our kids to use. We’re also very picky in what to recommend to others. This is why it’s important to share the information on how we actually picked the items on this list. Kid’s smartwatches come in a wide range of shapes, sizes, and features. This is why it’s so important to pay close attention to what they can do. This will guarantee that you’ll actually get your money’s worth. It can also ensure that the device will be useful to your child’s development. Kid’s smartwatches are not your regular wristwatches. As a result, you should expect that these devices can get pricey. Some of the best ones can offer great value for your money, though, so we set out to find them. There is no better way to get to know a product than by reading its reviews. So we made sure to take note of customer feedback as well. This helped determine which products are worth buying and which are worth skipping. Of course, you might also have your own preferences when it comes to choosing gadgets for your little one. However, we believe that these three points are enough to narrow down your options and find the best smartwatch for your child. With all the things that your little one can do with a smartwatch, it’s very important for you to fully understand these products. Smartwatches may still serve primarily as timepieces, but they’re also so much more than a wristwatch. The more sophisticated watches can serve as a communication device. This ensures that you and your child can stay in touch. When other people can call or message your child, though, you will want to know who is contacting your little one. Strangers can pose a danger to your young child, so as a parent, you want to know where your kids are, what they’re doing, and who they’re talking to. The internet makes it harder for you to monitor these activities, but it can also help you keep a close eye on your child. The right kid’s smartwatch will help you do this. 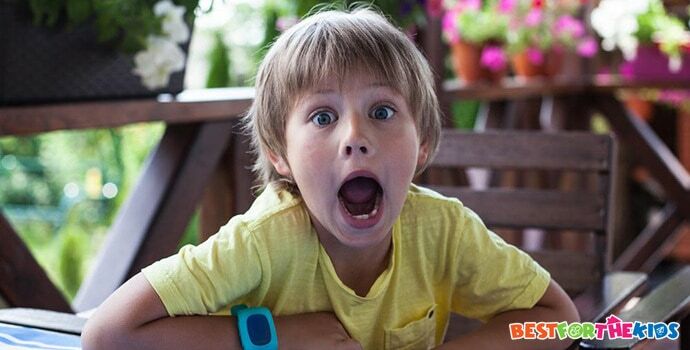 Some smartwatches allow your child to send emergency messages to their parents. A single press of the button will send you an instant message. This helps parents rest assured that they can always do something for their child no matter what happens. According to studies, kids can suffer from too much gadget use. It can lead to gadget addiction in kids. The internet also has infinite dangers when at the hands of a young child. These watches make screen time for kids a very sensitive topic. If you ask child specialists, they’d rather you limit them. These do not mean technology is bad for your kids, though. Lots of parents see smartwatches as excellent alternatives to smartphones. They have limited capabilities, but still provide your child with access to amazing technology. It’s a good compromise for both parties. While it has several functions to entertain your child, it’s still pretty limited. This can force your child to find ways to keep themselves occupied. The best kids' smart watches can be a great way to let your child enjoy today’s technology without sacrificing their health and development. They can also come in handy when monitoring your child when they’re not at home.